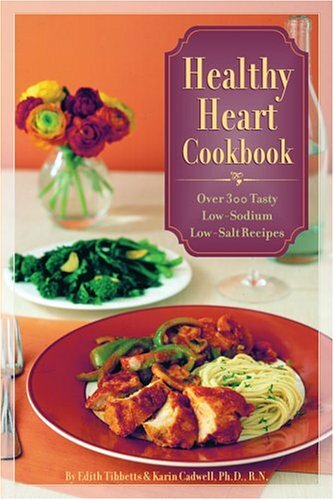 On the plate: 300 delicious, low-sodium, and heart-healthy recipes that can help you feel better and live longer. Mary Jane Finsand and Karin Cadwell have expertise teaching health-related workshops to nurses, dieticians, and doctors, and they offer a practical, simple approach to eating right. Best of all, thanks to some clever tricks that drop the fat and salt without harming the taste, the menu includes plenty of favorites. Enjoy scrumptious versions of Maryland Fried Chicken, Pizza, Barbecued Spareribs, Chicken Marengo, even "Big Mac"- and "Whopper"-style burgers. And don't forget desserts; they're all luscious, from the humble Chocolate Chip Cookie to an elegant Bananas Foster. In addition to the recipes there are also shopping tips, charts showing foods' sodium content, and other invaluable advice on protecting your heart.